proceeded to the London, England and pursued advanced training in Internal Medicine and Rheumatology. After coming to the United States, Dr. Sohail started her internship and residency in Internal Medicine at Mclaren Regional Medical Center/Michigan State University in Michigan and was chief medical resident. She received the outstanding PGY 1 trainee, resident teacher and academic excellence awards during her training. 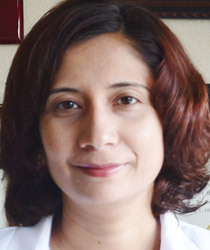 Following her residency, Dr Sohail completed a fellowship in Rheumatology at the prestigious University of Michigan, Ann Arbor. She received intensive clinical and research training which shaped her future career. Before moving to Georgia she was Assistant Professor Medicine for two years at Baylor College of Medicine, Houston, TX. Dr. Sohail has special interest in the management of inflammatory muscle diseases and Vasculitis. She is an active member of the American College of Rheumatology.